A question often raised by homeowners and realtors is whether disclosure is required if a house about to be listed for sale is reputed to be haunted or a murder or suicide took place in the house. On December 26, 2012, the Pennsylvania Superior Court issued its decision that psychological damage to real property is not a material defect in the property that is required to be disclosed by a seller to a buyer. The case in question is Janet S. Milliken v. Kathleen Jacono and Joseph Jacono and Cascia Corporation, trading as Re/Max Town & Country and Fran Day and Thomas O’Neill and John Restrepo and Fox & Roach LP, 2012 Pa. Super. LEXIS 4105 (December 26, 2012). The sellers and their agent were sued over the fact that a murder/suicide occurred in the house and the buyer did not learn of this fact until 3 weeks after buyer moved into the house. Pennsylvania’s disclosure statute was silent regarding the disclosure of psychological damage. The courts in Pennsylvania sided with the sellers and agents, stating that a murder having occurred on the real property goes to its reputation and not its actual physical structure. It declined to read into Pennsylvania’s disclosure statute a legal requirement to disclose psychological damage. Psychological damage is hard to measure as some potential buyers would refuse to buy a house that was alleged to be haunted or the scene of a grotesque murder, while other potential buyers would be attracted to the notoriety. Also, how far back do you go? A seller may be the third owner of the house since the crime occurred. Must it be disclosed in perpetuity? It is difficult to draw a bright line on how to address psychological damage, which is probably a reason why the court declined to open that Pandora’s Box. 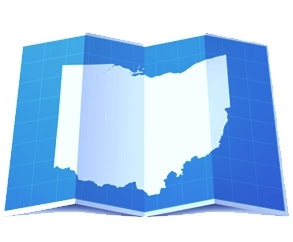 Like Pennsylvania, Ohio’s disclosure statute doesn’t address psychological damage. Since the decision in Pennsylvania is not binding in Ohio, there is no clear direction in our state whether an Ohio court would follow the Pennsylvania decision or go in another direction. Even if the odds are favorable that an Ohio court might decided the same way, there is a tremendous cost in both time and money to litigating disputes in court. A seller should consider disclosing the existence of any notoriety associated with the real property, even if it scares off a potential buyer or two. In the long run, it is a lot cheaper than spending thousands of dollars defending oneself in court just to prove a point.